Middle East investment in English football is set to increase with the imminent sale of Leeds United to a Gulf investment company. Whatever you might have thought about Leeds’ style, which was not so unusual for the time – this was the era of Chelsea’s “Chopper” Harris, and Manchester United’s fearsome Nobby Stiles – they played great football. These days, the club’s reputation for robustness has been long expunged, though still remembered by those of us who followed the game in those days with a gruesome fondness. After Revie’s departure, the club went into a decline that, despite a revival in the 90s, ended with it going into administration in 2007 and the newly-constituted club being relegated into the third tier of English Football. The current owner is Ken Bates, who had previously sold Chelsea to Roman Abramovich. POTENTIAL takeover of British football club Leeds United by Dubai-based GFH Capital has a distinctly Bahraini flavour. Not only is GFH Capital an affiliate of Bahrain’s Gulf Finance House (GFH), but one board member who reportedly attended a game at the club’s Elland Road stadium on Saturday is a Bahrain University graduate, while another worked for GFH in Bahrain. Prior to joining GFH Capital, board member Salem Patel was an executive director at GFH in Bahrain, while Hisham Alrayes obtained a Bachelor’s degree with honours in electrical engineering from Bahrain University before embarking on a distinguished banking career. Dubai-based Capital has signed a deal to buy former English soccer champions Leeds United, the latest foreign group to invest in one of the clubs with hopes of promotion to the lucrative Premier League. Leeds were one of the top names in English soccer in the 1970s and won the Premier League in 1992 but are now struggling in the second-tier Championship. “The signing of this deal marks the start of a one-month transitional period in terms of full change in ownership and control of the club,” the Yorkshire club said in a statement on its website. Leeds United’s website does mention the full name of the acquiring company, but not the Bahraini connection. I find it strange that the GDN should seem to be downplaying GFH’s and Bahrain’s connection with the takeover. GFH is a respectable Bahraini financial institution. Bahrainis are mad about football, and I’m sure would welcome the opportunity to follow the fortunes of an alternative to the usual suspects – clubs like Arsenal, Manchester United, Barcelona and Real Madrid. Investment in sport is not a novelty for the Kingdom. Mumtalakat, the sovereign wealth fund, owns a major stake in McLaren, the leading Formula One motor racing team. Arsenal runs a well-regarded football school here. The GDN’s utterances are rarely accidental. So why, I wonder, the sudden coyness? I should have thought that this is the kind of good news story that all parties would be glad to shout from the rooftops. 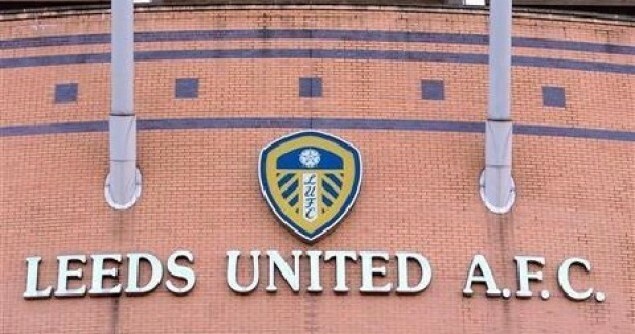 Oh well, good luck to Leeds. I hope the deal leads to a swift return to the Premier League, where they can resume their fierce rivalry with the great powers of English football.